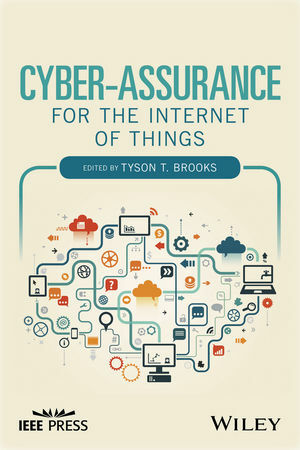 This book discusses the cyber-assurance needs of the IoT environment, highlighting key information assurance (IA) IoT issues and identifying the associated security implications. Through contributions from cyber-assurance, IA, information security and IoT industry practitioners and experts, the text covers fundamental and advanced concepts necessary to grasp current IA issues, challenges, and solutions for the IoT. The future trends in IoT infrastructures, architectures and applications are also examined. Other topics discussed include the IA protection of IoT systems and information being stored, processed or transmitted from unauthorized access or modification of machine-2-machine (M2M) devices, radio-frequency identification (RFID) networks, wireless sensor networks, smart grids, and supervisory control and data acquisition (SCADA) systems. The book also discusses IA measures necessary to detect, protect, and defend IoT information and networks/systems to ensure their availability, integrity, authentication, confidentially, and non-repudiation. Cyber-Assurance for the Internet of Things is written for researchers and professionals working in the field of wireless technologies, information security architecture, and security system design. This book will also serve as a reference for professors and students involved in IA and IoT networking. Tyson T. Brooks is an Adjunct Professor in the School of Information Studies at Syracuse University; he also works with the Center for Information and Systems Assurance and Trust (CISAT) at Syracuse University, and is an information security technologist and science-practitioner. Dr. Brooks is the founder/Editor-in-Chief of the International Journal of Internet of Things and Cyber-Assurance, an associate editor for the Journal of Enterprise Architecture, the International Journal of Cloud Computing and Services Science, and the International Journal of Information and Network Security.